Dental Implant works like a natural tooth root made from surgical grade titanium. It bonds with the bone and anchors the artificial tooth into the jaw. 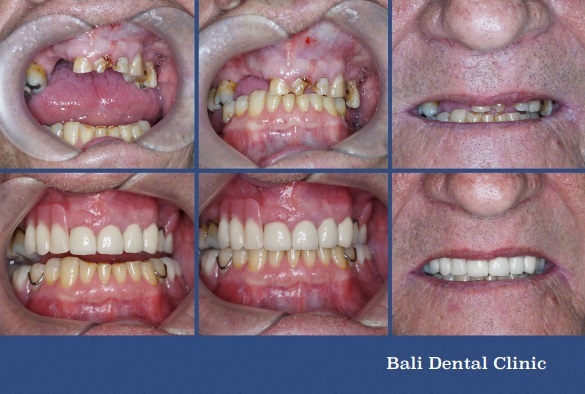 Implant can be applied in a variety of ways to replace one or several missing teeth. 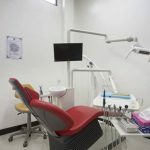 The artificial tooth (crown) is attached to the implant by use of an abutment or in some cases, an implant can be fitted with attachments to firmly hold a denture in position to improve the stability of the denture. Dental implant resembles your natural teeth more closely than removable full or partial dentures, providing a solid, ‘permanent’ solution to missing or damaged teeth. In addition to restore chewing and speech, the aesthetic result is often much-improved. Overall, our dental implant patients are left feeling more confident, with an improved quality of life. Placement of the implant into the bone. A drill prepares a hole of precise depth and width in the jawbone. Insertion of the artificial tooth (crown or denture) to the abutment or connector. The procedure can take from three to six months or more from placement of the implant to the fitting of the crown or denture. A sinus lift is surgery that adds bonegraft to your upper jaw in the area of your molars and premolars between your jaw and the maxillary sinuses. 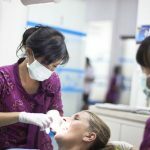 To make room for the bone, the sinus membrane has to be moved upward, or “lifted.” A sinus lift is done when there is not enough bone height in the upper jaw because of the teeth have been missing for a long time, or the sinuses are too close to the jaw for dental implants to be placed. Term of Payment 80% of full payment at the beginning of treatment, and 20% of the payment will be paid when done.